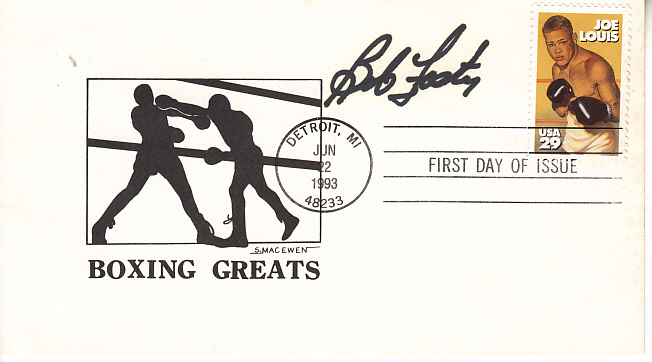 1993 Joe Louis stamp First Day Cover with Boxing Greats cachet autographed in black Sharpie by the late light heavyweight champion Bob Foster. With certificate of authenticity from AutographsForSale.com. ONLY ONE AVAILABLE FOR SALE.